Contact Miami Gardens Truck Accident Lawyers Gerson & Schwartz, P.A. Truck accidents usually result in serious injuries. When these massive vehicles are involved in auto accidents, consequences are often devastating. Most often, those who hit the truck are the most injured, but sometimes the truck drivers end up suffering worse consequences. From time to time we can see rolled over trucks on Florida roads, letting us just imagine what happened to the person who steered the wheel. For nearly 50 years, the truck accident lawyers at Gerson & Schwartz have helped those struck by trucks as well as truck drivers injured due to the negligence of other drivers. Our Miami Gardens trucking accident attorneys are available to help at (305) 371-6000. Just call us for a free consultation and we will answer your questions and present you with a course of action to help you get the compensation that you deserve. Every year, more than 750 commercial vehicles have crashes on the roads of Miami-Dade County. Trucks account for most of commercial vehicles, so the truck accident rate in this county is quite large. If you or a loved one has been injured in a truck crash, our Miami Gardens truck accident lawyers are ready to help. You may be entitled to damages compensation for visits to doctor, medications, medical rehab, lost income, loss of financial support, scarring, disability, disfigurement, pain and suffering, and forms of damages as allowed by the laws of Florida. At Gerson and Schwartz, our Miami Gardens personal injury attorneys know how to help truck accident victims. Our bilingual personal injury lawyers are at your service. Miami Gardens is a middle-sized city in the Miami metropolitan area, located between Miramar and West Park on the north, Opa-Locka on the south, Golden Glades and North Miami Beach on the east, and Country Club on the west. Around 115,000 people live in Miami Gardens, three-quarters of which are African-American. The city used to have over 124,000 residents, but the huge crime rates made many residents look for another place to reside. Obtaining compensation due to a injuries from a truck accident is difficult, but not impossible either. If you have an experienced Miami Gardens truck accident lawyer to assist you, your chances improve. That's where we at Gerson and Schwartz can help. Our founding partner, Phil Gerson has 45 plus years of experience in the field. Ed Schwartz, a partner, practices personal injury law since 1982. Nick Gerson has fought for personal injury victims since 2006. 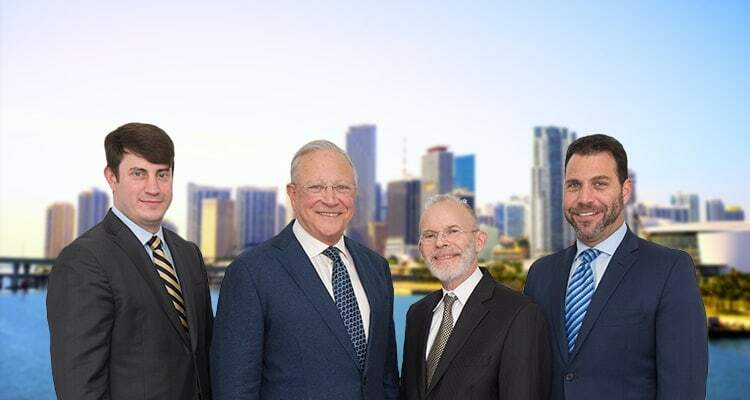 They have the experience and knowledge necessary to help you get the compensation that you deserve after your Miami Gardens truck accident and injury. For help with your case, contact us at (305) 371-6000 for free and no-obligation consultations. You can explain to us your case, and we will explain your options. We won't charge you any fees unless we recover for you.